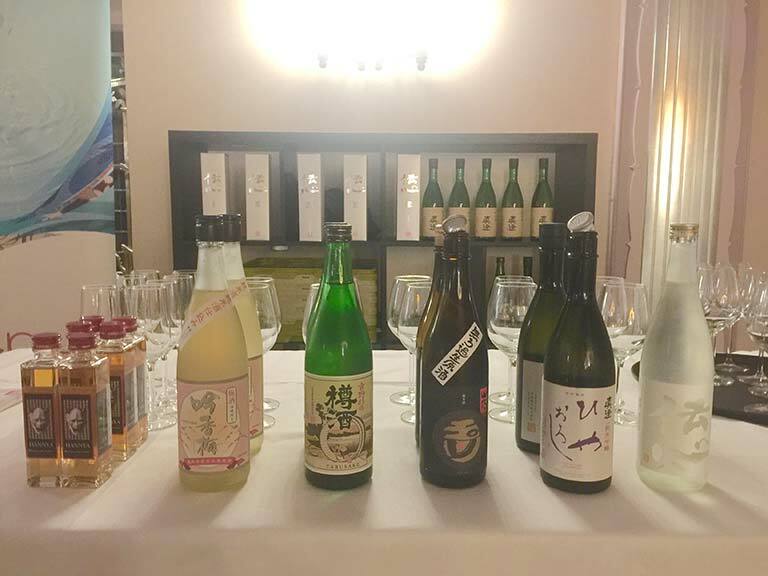 Following the introduction event in March, The Foreign Press Association invited the Japan Sake and Shochu Maker’s Association to take part of their prestigious annual award giving dinner to sponsor and showcase a selection of sake to members of the world media. This was held at the Sheraton Park Lane Hotel in Mayfair and about 300 world correspondents and their guests enjoyed the evening. 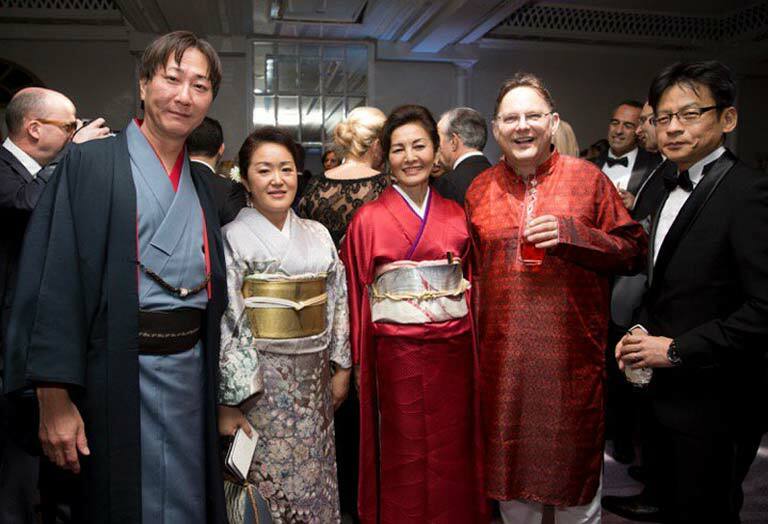 The ambassador of Japan, Mr Koji Tsuruoka and his wife were invited as a VIP guests and raised the presence of Japan and its national drink, sake. This was all thanks to Ms Daborah Bonetti, the president of the Foreign Press Association, who has fallen in love with sake and become an enthusiastic sake evangelist. 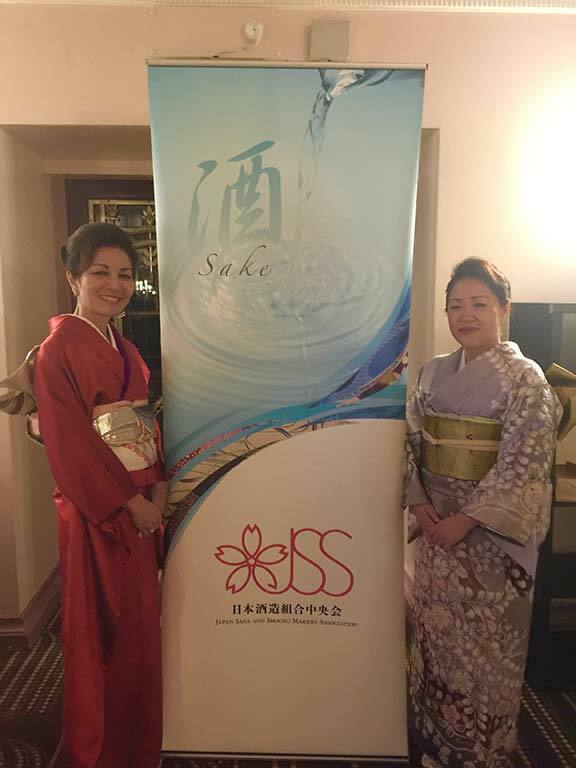 After the awards dinner, JSS and team served various kinds of sake including Masumi, Dewazakura, Akashiai, Ippongi, and Choryu. Ex-Sky news reader Jeremy Thompson was one of the keen sake learners and enjoyed the exotic after dinner tasting along with his colleagues. Those encountering sake for the first time expressed delight at the easiness of the drink, while the Head Chef of the Sheraton Hotel talked with excitement about adding sake to the hotel drinks menu.